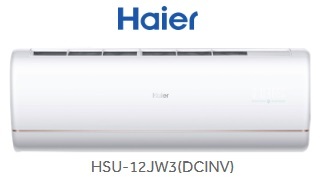 Haier, the global leader in Home Appliances & Consumer Electronics and World’s Number 1 brand in Major Appliances for 10 Consecutive Years*, expands its customer-inspired innovative product portfolio by introducing the revolutionary PuriCool range of Air Conditioners with built-in air purifier in 5-star (HSU-12JS5 DC INV & HSU-19JS5 DC INV) and 3-star variants (HSU-12JW3 (DC INV) & HSU-19JW3 DC INV). The alarming level of air pollution in India across cities is affecting the quality of air we breathe which is resulting in serious health implications for all. A holistic air purification system has thus become a necessity and not a luxury in today’s scenario. Understanding this need, Haier India has introduced the revolutionary PuriCool range of air conditioners to help purify the quality of indoor air from dust, pollen, pet dander, particulate matters and smoke present outside. Haier’s new PuriCool air conditioners create an environment of comfort with clean and hygienic airflow offering superior cooling comfort to the users. The cutting-edge range of both 5-star i.e. HSU-12JS5 DC INV and HSU-19JS5 DC INV and 3-star HSU-12JW3 DC INV and HSU-19JW3 DC INV range of PuriCool Air conditioners are available in 1 and 1.5-ton cooling capacities. This new range of ACs features an inbuilt air purifier that omits the need of a separate air purifier at home. 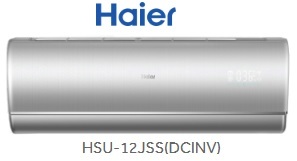 The Haier Self Purify function in the new ACs enables powerful air purification system with a highly effective iFD (Intense Field Dielectric) filter, automatic PM 2.5 air quality detection and slide-able cruising module. The ACs offer a high CADR (Clean Air Delivery Rate) of 300m³/h. The ACs feature a 3-in-1 display allowing users to see thetemperature, humidity and PM 2.5 details all at the same time. The 5-star Haier PuriCool AC range also comes with smart WiFi option to allow greater connectivity and control to the users. The new PuriCool range of ACs will also feature Haier’s iconic Self-Cleaning Inverter Technology (SCIT) which enables automatic cleaning of the ACs evaporator by lowering the temperature to certain degrees and frosting the surface with 30% increased condensate water. With this feature, all the dirt is removed from the evaporator through a strong cold expansion force generated by frosting, which is further washed away through defrosting. It also assures anti-bacterial efficiency up to 99.9% that provides bacteria-free airflow for users with a long air-throw of up to 50 feet, resulting in hygienic and effective cooling. 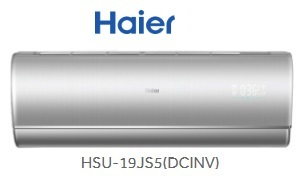 Adding to its new offerings, Haier has upgraded from the conventional inverter technology to Inverter plus function that helps to achieve intelligent control of air conditioner operation for comfort, reliability and up to 65 per cent energy-saving performance. It additionally offers advanced easy installation technology of indoor component, system and control for a hassle-free experience to its professional users which helps them save up to 50 per cent of their time.